A disaster recovery guide has been developed to help councils prepare for their role in the recovery process following a disaster. 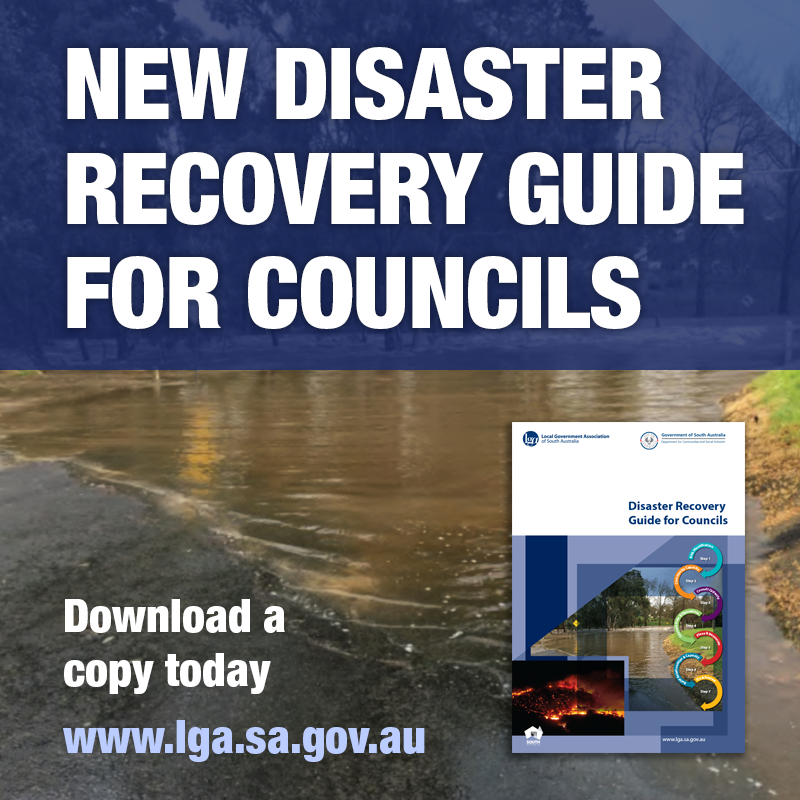 The guide, released at the Local Government Association (LGA) Ordinary General Meeting last week, will help councils be better prepared to respond, and respond consistently, to community needs after a disaster. Importantly, it has been shaped with the input of South Australian councils who have recently experienced disaster events, so other councils can benefit from their lessons learned. The guide has been developed by the State Recovery Office (part of the Department for Communities and Social Inclusion), in collaboration with the LGA, local councils and Australian Red Cross. The state’s Emergency Management Plan now formally establishes the LGA’s role in disaster recovery, acknowledging the significance of local government in disaster prevention, preparation, response and recovery.